First off the translation in your onemanga link is WRONG. Second I gave you verbatim Mihawk's narration box text only a couple posts ago! At least have the decency to read a post you in which you were quoted! The translation on onemanga is wrong. In an attempt to jazz up the language they lost the original meaning. It happens all the time, even with certain official translations. VIZ I'm looking at you~. If you absolutely must have the page raw I'll gladly upload it, but it doesn't say anything that I didn't already type out. I'm not sure. Even trolls have limits to their stupidity. He's obviously a really rare super special ancient troll. i think that the translation of mihawks strike is not really right..
about the "strongest strike of the world", it`s more likely that in a battle against some1 else..(.i rly hope we will see mihawk fight a big name..would love to see his skills,before zoro-fight)he HAS to show more powerful strikes. Visiting my 2Dads...No Homo.................> Who would've thought Hell would look this nice. That is exactly what I need. Proof. So far U've all worked really hard trying 2disprove me but not one of U hav given me anything verifiable. So Ace being your favorite character is based off who he is related to and not what he has actually done. Well all he's done is destroy stuff and lose. I've always liked him due 2his cool attitude and DF abilities though. But my original fav was Usopp. Begging will not make your dreams come true. U realize that "I'd beg 2differ" is simply a figure of speech meaning that I disagree. 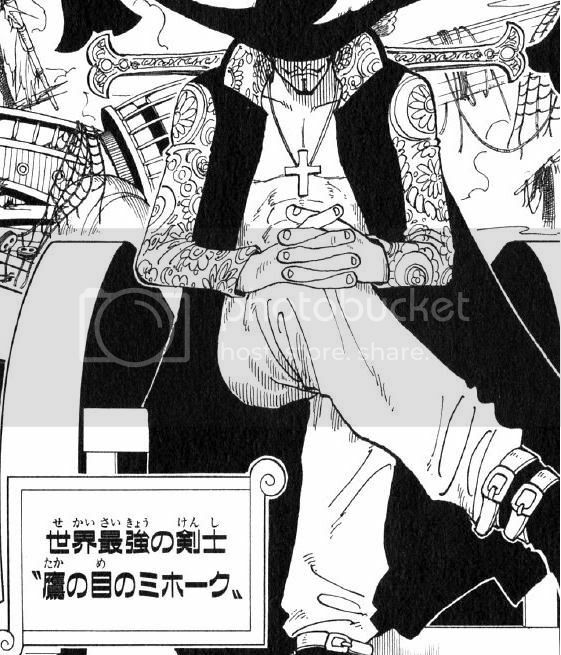 You're debating who was the pro and antagonist in the battle between Ace and Blackbeard. Not who was the pro & antagonist but who was the good guy and the bad guy but I know U meant them 2mean the same. Though they R also very different things, technically. Like for instance Pirates like Luffy are bad guys even though Luffy is the main protagonist of the story. Btw I'm not a troll as I stated previously but I admit what I've been doing to True would B considered trolling by some. Though U hav 2admit his reactions were a bit overboard for such a meager debate. And I find it funny how some of U would dare insult my intelligence when U hav yet 2B able 2prove me wrong. As without that capability and just the info given, my intelligence would then B superior 2that of Urs. Last edited by GolD. Ace; August 12th, 2009 at 03:43 PM. we could always get an early release around saturday or sunday didn't that happen last time? No, we won't there was never even going to be a spoiler until Monday at best. Honestly do you guys even understand how the spoilers are gotten? Or do you think someone grabs the latest chapter off of each mangaka's desk or something like that? Last edited by ThunderEarthFire; August 12th, 2009 at 04:25 PM. You are spilting hairs again. And you didn't address anything I said because I was right. It's hard to not insult your intelligence when I have clearly proven you wrong and you don't seem to understand that I have. Last edited by choperman; August 12th, 2009 at 04:33 PM. Here you go. Like I said it's no different from what I already told you twice now. Maybe next time you should trust me. I know what I'm talking about. That guy is arguing with a word by word translation provided by mrkaizoku ? Did anyone notice mihawk is one of the few characters in one piece oda didn't change the way he drew in the past 11 years. mihawk vs. jozu needs to happen. the others could be melee. U weren't right. And If U feel I didn't address anything U said 2me on that part its B-cuz U didn't say anything that needed 2B addressed in that section of Ur comment. All U wrote was "You're debating who was the pro and antagonist in the battle between Ace and Blackbeard." Thats so sad...lol...U actually never proved me wrong. U weren't able 2prove anything. Mrkaizoku is the one who has proved me wrong. se kai sai kyou no kenshi taka no ??? no mihooku. Then its just as I thought. I can't read japanesse. I can translate it into romaji but I still won't know what its saying. I'm glad U finally found proof though. No, but it's an accurate translation. You can always keep your stupid misconception, though. If you check that link out and scroll down to where on of the guys mentions the yellow data books you'll see that I am right. Everything else in the spoiler just translates to Aokiji being the strongest and the 3 admirals making a world power. Nice try though. But how was I going 2know that without proof. And do U read japanese. Cuz I want 2B sure its an accurate translation. I need some1 2help me verify as I can't read what that box actually says. All I can do is translate it into romaji.